Do you want a flabby website or a taut, sturdy, and well-constructed website? Do I even need to ask? You can (and should) add structure to your website in a variety of ways. For example, planning a hierarchy for your pages, creating a URL structure that follows that hierarchy, creating a header for easy navigation, and using internal links are all excellent ways to organize your website and give it a logical framework. Two other organizational opportunities come in the form of categories and tags, which can easily be added to blog posts. Because they’re used in similar ways, people often mix them up. While the difference between categories and tags doesn’t have a major impact on a website’s viewers, it is important for webmasters to understand because each scheme has clear benefits and functions. Before we discuss the difference between categories and tags, let’s quickly clarify what they have in common and why they’re so easily confused. Categories and tags are both default taxonomies in WordPress, which means they’re classification tools. Sometimes they’re used as clickable links in the sidebar of a website, allowing readers to quickly view all of the pages or posts that fall under that category or tag. While they’re used for a similar purpose, categories and tags are distinct and should not be used interchangeably. Originally, WordPress only provided one option for classification on blog posts: categories (source). Because there was only one option, people started using categories to organize posts with more specific terms. Soon, some websites had extraordinarily long category lists, which were both messy and inconvenient. Thus, the tag was born. These days, according to WordPress, “Categories allow for a broad grouping of post topics.” It is recommended that you use categories to group your website’s content into general segments. While there isn’t an optimal number of categories, do not go overboard when it comes to the number of categories you create. By limiting your categories, you will keep your website and your content more focused. Start with some basic categories when you create your website, and then as your website evolves, add more categories if needed. And remember that if you’re desperate to add more categories, you should probably reorganize your content and start using more tags instead. Categories can be hierarchical, which means they provide more content structure. A category can be the parent or child of another category. For example, let’s say your blog had a category called Holidays. Beneath that, you might have subcategories: Halloween, Christmas, Fourth of July, etc. This also creates organizational URLs. For example, you would have a category page with the following URL: www.website.com/category/holidays/halloween. Perhaps surprisingly, categories are required. WordPress insists that you select at least one category per post. And if you don’t, WordPress will choose one for you! The post will go into the default category “Uncategorized,” unless you set another category as the default. Since “Uncategorized” doesn’t mean anything to your readers and lacks personality, we recommend that you set another category as the default. The difference between categories and tags lies largely in their scope. 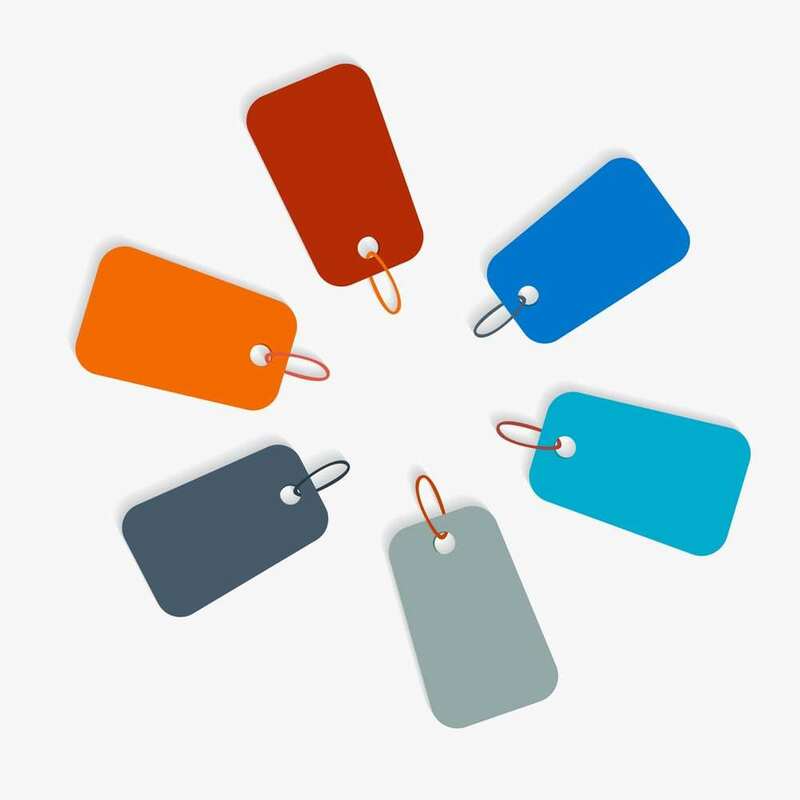 Where categories are broad and generalized, tags are typically more detailed and plentiful. As WordPress says, “Tags are used to describe your post in more detail.” If you’re new to tagging, read WordPress’s “Tagging Tips” to learn the basics. Because they can’t be hierarchical like categories and thus don’t have a relationship with other taxonomies, tags are used more randomly. For this reason, it’s common for webmasters to abuse tags and not pay attention to how they’re using them. Upon checking, webmasters are often shocked at the number of tags they’ve brought into being, and they might notice duplicate tags that could be combined into a single tag (such as “Dessert” and “Desserts,” “Finance” and “Money,” or more embarrassingly, “Exercise” and “Exersize”). Although you’re free to use as many tags as you like on a post, we recommend that you control your use of tags and put some limits in place. Not only will this prevent your list of tags from becoming a muddled, overwhelming mess, but it will also help prevent you from using more than 15 tags and categories. Why is this important? Although you can use as many tags as you like, WordPress.com Reader filters out posts with more than 15 tags and categories (combined) as an effort to combat spam (source). So if that is important to you, keep an eye on your use of tags. In addition, it’s a good idea to limit your tag use so that you don’t end up using tags only once. Because the purpose of a tag is to categorize your site’s content in some way, it becomes useless if a tag only applies to one post. More importantly, if a post is only used once, duplicate or thin content is created because the tag archive page will display the same content as the tagged post. This could hurt your SEO. Unlike categories, tags are not required. So if you don’t feel the need to use them, that’s fine. If you adore tags and want to mark every one of your posts with a dozen tags, that’s fine too. You could also refrain from using them now, but keep them in your pocket and pull them out if the occasion should arise. How Do Categories and Tags Affect SEO? If you want to boost your SEO, a good taxonomy system can certainly help. It’s also true that a poorly constructed taxonomy system can hurt your SEO. Categories’ and tags’ importance is mainly due to their archive pages. An archive of a taxonomy is a landing page with a list of posts in that taxonomy, and WordPress creates it automatically. If you click on a category link, you’ll reach this page and be able to view all of the tagged posts in that category by scrolling down. It works the same way for tags. The difference between categories and tags when it comes to archive pages is their URLs. According to Yoast, “If your site is a blog and you write several articles about a topic, your category for that topic should be #1 in the search results.” They go on to say that this is true regardless of whether your site is a blog, an e-commerce store, or any other type of site. However, landing pages become especially important if you have posts or pages that expire. While those pages and posts expire and disappear, your category archive will remain static and continue to rank. Archive pages present a great opportunity to connect with relevant readers who are truly interested in your website. Despite this, category archives are often plain and typically unedited. To improve your category and tag archive pages, consider writing some introductory content to attract the reader’s attention. Within that text, add some internal links so that readers can quickly reach the pages you want them to see. By leading the reader onward, this may reduce you website’s bounce rate. Should I Use Categories or Tags – or Both? Despite the difference between categories and tags, these taxonomies work similarly when it comes to SEO. However, because categories are broader, it’s more likely that a website will just have categories. If you need more detailed categories, you might also use tags, of course. But it’s rare – and not recommended – for a website to only use tags. Finally, if you adore using taxonomy systems to organize your website, know that you can create your own custom taxonomies if you like. All WordPress sites come with categories and tags by default, but you have the flexibility to develop a custom system. One category per post is still required, however. Now that you understand the difference between categories and tags, are you ready to add them to your website? If you’re aiming to create a beautiful, effective website that ranks highly on Google, contact 417 Marketing for help. Our team of knowledgeable, creative, and passionate professionals specializes in SEO, web design and maintenance, and Google AdWords, and we have successfully completed over 700 websites since our inception in 2010. Click here to contact us and learn more about what we can do for your company. Copyright © 2019 · 417 Marketing · All Rights Reserved.